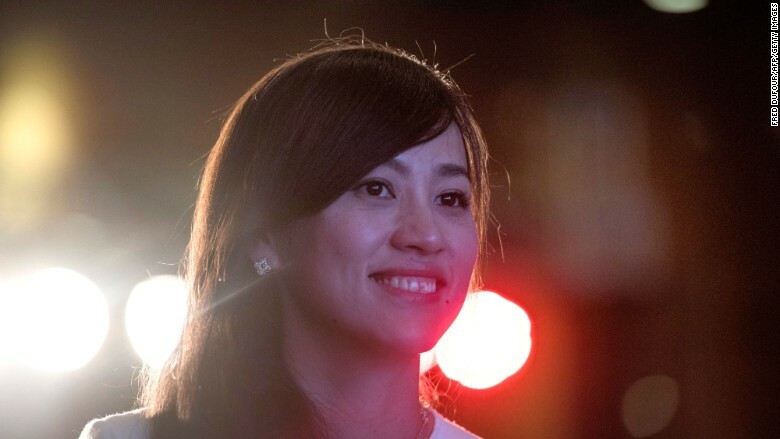 Jean Liu is in the thick of the battle for supremacy among China's ride-hailing apps. 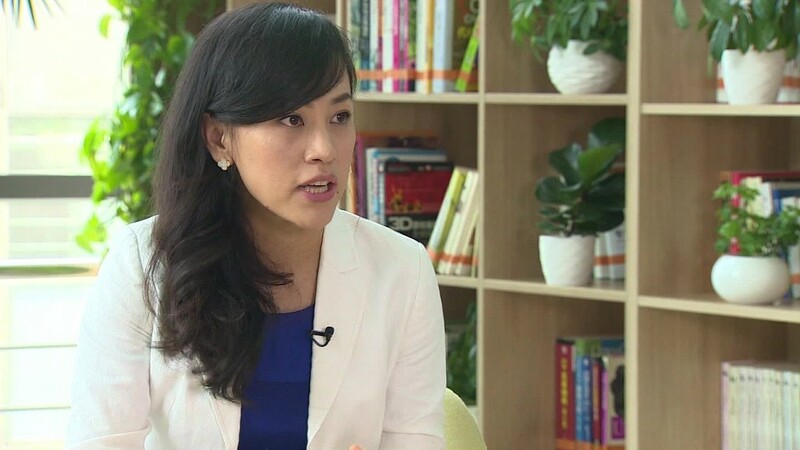 She's the president of Didi Chuxing, the startup that dominates the Chinese market. 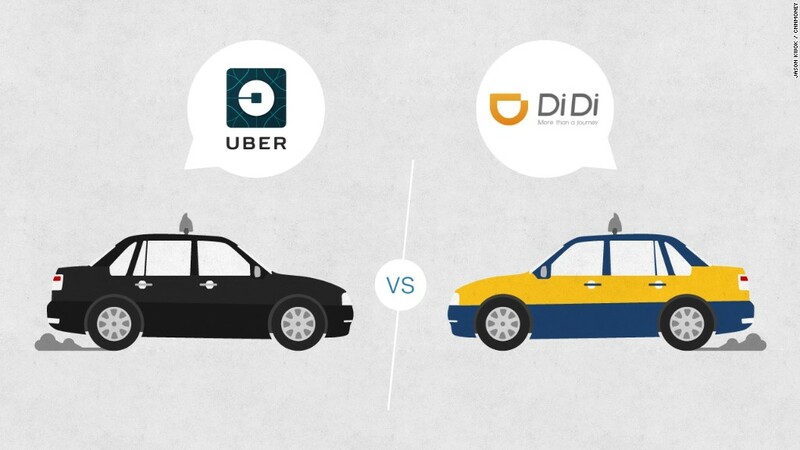 Didi claims 300 million users and 14 million registered drivers across 400 cities. Uber, its rival from the U.S., is in around 50 Chinese cities. Didi just got a $1 billion investment from Apple (AAPL), which followed Chinese tech giants Tencent (TCEHY) and Alibaba (BABA) in backing the startup. "We are actually very grateful to have strategic partners like Apple, and also like Tencent and Alibaba. They're all helping Didi to grow. For Apple's case, we have a big overlap in terms of customers in China -- a big percentage of our users, passengers, drivers use iPhones, so [by] working with them, we can further improve the user experience on our platform." "We joked with Tim [Cook, Apple's CEO] -- the legal name of our company is called "Little Orange," and we said we think all the companies named after fruit can grow big. We share that in common!" "We think competition definitely makes a company stronger. If you look at other companies on top of China's Internet list -- Alibaba, Tencent -- they all thrive among good competition, so we welcome our competition. When you have competition, you will learn how to improve yourself. But at the end of the day, the market will pick the best player based on user experience." "Our goal is that by 2018, we will be able to serve 30 million passengers and 10 million drivers on a daily basis. At the moment, we are talking about commute number, which is 11 million. But 30 million is the passenger number, because each passenger may take two rides on a daily basis, so let's translate it to 60 million rides on a daily basis." "We all know China is going through restructuring ... and we think this platform can be a good buffer. I give you one example: there is a steel company based in Wuhan. There are people losing jobs because of the restructuring, and we work with that company together to convert the employees there into our platform, into private car drivers."